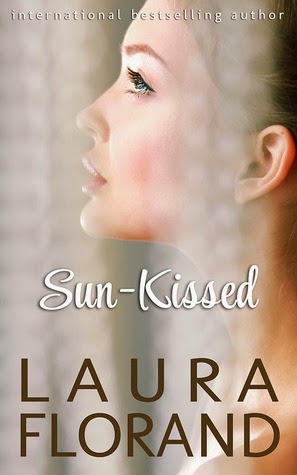 TBQ'S Book Palace: [Pat's Review]: "Sun-Kissed"
This novel is not a New Adult or Young Adult story, it is a powerful love story about a couple who are in their fifties and been friends and next door neighbors for twenty years. Mack Corey is a millionaire owner of Corey Chocolate. He and his wife Julie moved to a beautiful summer home in the Hamptons twenty years ago with their two daughters Cade and Jaime. Soon they have a neighbor Anne Winters, newly divorced, single Mom of Kurt. The children became inseparable, and the adults best friends. Mack and Julie made it a point to try and draw Anne out of her sadness over a nasty divorce. Anne was there for Mack when he lost Julie and had to raise two little girls on his own. Mack stood solidly by Anne when she was indicted for insider trading, and a long trial ensued until she just gave up and went to jail, too humiliated to fight anymore. Six long months he visited her in jail and was at the door to pick her up when she was released. That six months gave Mack a lot of time to think. He needed Anne as a best friend, but he hoped for so much more. Anne has helped make his daughter Jaime's wedding day a dream come true. Both his daughters are married to French chocolatiers, and will be returning to France to continue on with their lives. Mack has decided to convince Anne that they are meant to be together. The seduction is sweet, slow and steals your heart. Anne is frightened of her feelings, and Mack in the most loving way is going to break down the walls to her heart. I laughed, cried and my husband commented about hearing a lot of sighs! All Ms. Florand's Chocolate books can be read as a stand alone, but I highly recommend reading every one. They are a treat for all your senses. This novel is a sequel to Snow-Kissed that introduced us to Kurt, Anne's son and his estranged wife Kai. Keep a box of tissues close for that one! Sun-Kissed was a pleasure to read, and will be read again and again. This is a love story that should not be missed! Thanks for the review, Pat! :) I'm so glad you loved Sun-Kissed, I can't wait to read Florand's books. Have you read Laura Florand before? Do you have a favorite book of hers? Oh, I love a good book hangover! :) Will be putting it on my list, thanks Pat! Snow-kissed was a tissue box kind of story, wasn't it? I have read all of Laura's chocolate books & I think some of the humor in Sun-kissed might be hard to get if you don't have the background stories on the chefs. The story itself is standalone & is really good! Oh I've had her on my list for a long time. I like that they're an holder hero and heroine. I love finding those!